This issue is a red herring and it’s taking away from what could be substantial discourse on the issues. Just like the whole stupid birth certificate thing with President Obama. 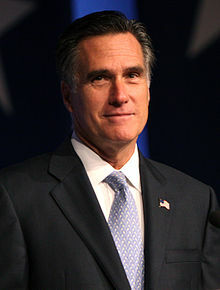 While it’s highly unlikely that I will cast my vote for Mr. Romney this fall, it has nothing to do with his taxes. He’s a wealthy man and a smart man, and like many smart, wealthy citizens he is proactively managing his wealth to minimize the impact of taxes upon it. Just like we all do. There’s no story here, I don’t believe he has done anything illegal or irregular given his financial circumstances. Where the debate can and should emerge is not about Mr. Romney’s income taxes, but about the tax system overall. We need to normalize and stabilize our tax revenue while at the same time cutting costs. As Mr. Romney will no doubt know from his time leading Bain Capital, you can’t cut yourself to success. You have to balance your approach making prudent investments that will help in the short, mid, and long-terms while watching your pennies if you’re going to turn around an entity. What should concern potential voters is not that Mr. Romney paid 13% on his taxes, but rather that the system allowed that to happen. This is a very simple issue. Civilization requires public funding to survive and thrive. People with more wealth will always be asked to contribute more than those without wealth – this is a fact, get used to it. In days gone by, people of wealth and means would actually recognize their favorable position and step up to these responsibilities – like Warren Buffett is espousing. I’m all for a smaller, less intrusive government that closely examines each penny of our money that is collectively spent or invested. However, I also believe that if we are to have defense, physical infrastructure, and services that only a government should offer, we have to find a way to pay for it sustainably and that means we step up to pay taxes. The debate should center on what the balance of revenue (taxes) is across the income levels of population relative to the expenditures that are being made on our behalf. Near as I can tell, the argument is all about the candidates personally. That’s a lost opportunity. I’d like to hear specific plans from each candidate about how they would approach the next 4 years from an income, expenditure, and investment perspective. I’d like to hear how they would plan to get Congress to go along with those plans. I’d like to hear what ideas they have to offer in these areas. What I don’t want to hear is how Mr. Romney is cheating the system, he’s not. I don’t want to hear about how a tax cut to make wealthy people like Mr. Romney pay lower taxes – that’s not a solution, that’s part of the problem. I don’t want to hear about large, new government programs to stimulate the economy, that’s not part of the solution either. As a business man, I can say categorically that nothing either candidate has yet communicated makes a bit of difference in my business. Not. One. Bit. The best thing the government (Federal, State, and Local) could do is get out of my way and begin to function in the areas it needs to function in. Minimizing my taxes is of course nice, but I have to admit, I’d like to have great roads to bring customers to my town so they can visit my store and buy things. I’d like healthy, happy customers and staff. I’d like to be able to find well educated potential staff members. I’d like customers to be able to pay for a tank of gas (or electrical charge) to drive their cars to come visit. These are areas the government can and should step into and facilitate. Based on your headline I was going to jump in and say that, while a Birth Certificate says nothing substantive about a person, a Tax Return is based on behavior. Then I read the rest of your post. Good points all. Thanks for stopping by, reading, and commenting Jim!